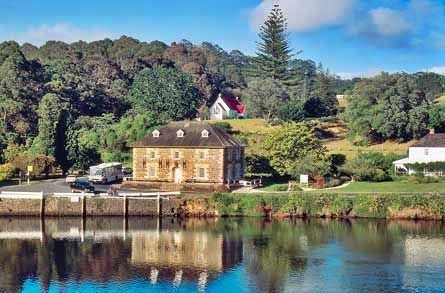 Discover some of Kerikeri’s best keep secrets in this popular afternoon tour. 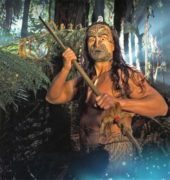 Kerikeri is rich in history and was home territory for the formidable Maori chief Hongi Hika, who terrorised many tribes throughout the North Island in the early 1800s. A shrewd strategist, Hongi made nearby land available for a Church Missionary Society station. He intended to use the mission to secure European weapons and other skills to further his war aims. By 1827, however, Hongi and many of his followers had moved on, leaving Kerikeri to the missionaries and the Reverend Samuel Marsden who established New Zealand’s second mission station here. Reverend Marsden is also widely credited with planting the first grapevines in New Zealand. The vines were planted as part of Marsden’s efforts to establish a settlement for the Church Missionary Society at Kerikeri. He recorded the planting in his journal of his second visit to New Zealand: Wine still features as one of Kerikeri’s primary industries and on our afternoon tour you will visit the small family run boutique vineyard Ake Ake and sample their organic wine. Ake Ake Vineyard sits on a 5ha sunny spot just outside Kerikeri on rolling hill and the soil a complex mix of volcanic, clay, ironstone and gravel. Next take a step back in time as we visit the Kerikeri Mission Station, home to New Zealand’s oldest standing European buildings: the Stone Store and Kerikeri Mission House (Kemp House). The Stone Store, New Zealand’s oldest stone building and was built between 1832-36. The Stone Store is of national and international significance as the oldest surviving commercial building in New Zealand, demonstrating the early stages of the country’s connection with international trade. We conclude the tour with a visit to the boutique Makana Chocolate Factory where you can watch the delicious chocolates being made, taste a few samples, and of course shop for gifts and indulgences.